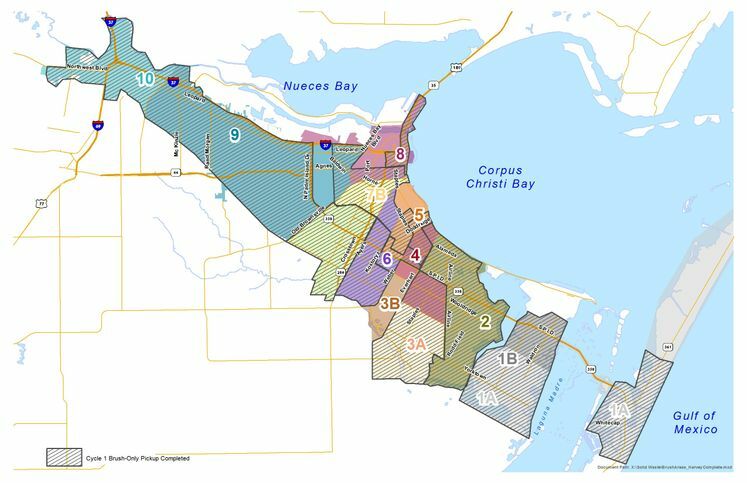 CORPUS CHRISTI, TX – The City of Corpus Christi is continuing to pick up brush left over from Hurricane Harvey. In an effort to keep everyone updated, citizens can now visit www.cctexas.com/debrispickup for the latest on the progress. The website also has advice for residents to help expedite pickup. The first cycle collection is still in progress and is estimated to be completed next week. Cycle 2 will begin there after collecting debris including bulky items like construction materials including fencing. For more information, contact Solid Waste Services Program Outreach Coordinator Celina Pulcher at (361) 826-1655 or by email at celina@cctexas.com.